You are here: Home / Den Talk / Harris gives Lions options heading into 2012 and beyond. Harris gives Lions options heading into 2012 and beyond. The new contract extension for non-import running back Andrew Harris is great news for fans of the Lions and of course the team itself. Considering the fact that the Lions may not have ended up with Harris had he made the grades to get into University, his emergence has been the result of some good fortune by the reigning Grey Cup champions. Having attended all the training camps that Harris has been a part of, I’ve often left with the belief he was the most talented running back in the Lions system. However, age and experience were against him when it came time to cracking the lineup. Since Harris was in junior and not the CIS, the Lions had the luxury of using a territorial exemption on Harris which kept him from being exposed to other teams. That clause to allow Harris to practice with the team and groom him into the player he’s become today. Not that he needed a lot of grooming; he just needed the chance and the experience at the pro level. As pointed out in this piece by Ed Willes of The Province, his junior numbers from his days with Vancouver Island Raiders in the CJFL are jaw dropping. The most impressive of all, a 14.5 yards per carry average in his final season in 2009. Heading into last season the club had designs on an all-Canadian backfield with Jerome Messam and Jamall Lee, who was coming off a major knee injury, in the picture. After making the team in 2010 and seeing primarily special teams work, Harris himself was recovering from a torn pectoral muscle as training camp began. But during camp he showed signs that he had healed well and was likely ahead of schedule. 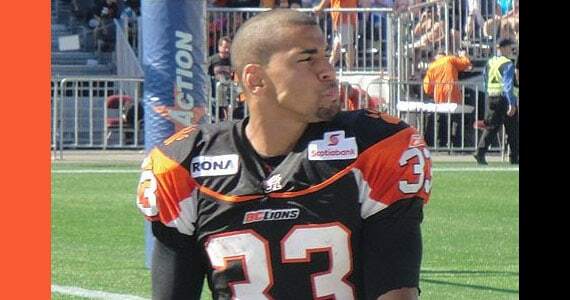 Another training camp incident for Messam saw him dealt to the Eskimos, while Lee’s recovery hampered his ability to have an impact early forcing the Lions to abandon the non-import idea. When the Lions struggled out of the gate, Harris eventually replaced veteran Jamal Robertson. He got his chance to shine and never looked back and his emergence as the starter coincided with the turnaround of the club. Where Harris’ age and experience were once a negative factor when it came to getting him into the lineup, those factors have become huge positives for the Lions moving forward. He’ll be 25 years of age at the start of camp and hasn’t even hit his prime yet. The experience he gained last year may have set the table for him to have a dominant season in 2012. A healthy Harris and Lee combined with the option of using Rolly Lumbala more, means the Lions could take another look at the non-import backfield scenario entering 2012. They’ll have to sign Jamall Lee for that chance though, as he’s eligible for free agency and may get some offers with his yet to be realized potential, strong special teams work and his birth certificate. In the meantime, the Lions at least have Harris in their back pocket and the best thing is he’s just getting started.